The opportunity to save time and money is one of the main benefits of buying online. 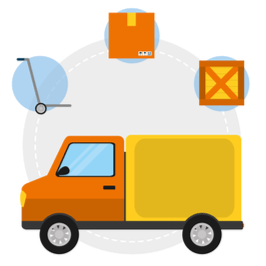 However, customers easily run into time-consuming complications if they want to change agreed-upon delivery arrangements. What seemed to be the best choice at the time of purchase may later turn out to not suit the customer at all. If the distributor then cannot adapt to the buyer’s changed requirements, what was originally a positive shopping experience can quickly become quite the opposite. This in turn will reflect on the supplier. Successful companies need to offer the ability to change delivery arrangements, for example by allowing someone other than the designated recipient to collect the parcel or by changing the place of delivery. Being able to adjust delivery options even after checkout is crucial to ensuring that the logistics work and will contribute to an even stronger relationship between consumer and supplier. Successful e-commerce is based on the carrier’s ability to respond to changes that the customer wants, and then to provide accurate information about the revised delivery in appropriate channels. Follow-up procedures to gather reactions and opinions from consumers after purchase are also important, not least because this creates trust among consumers and ensures consumer power. This is the fifth recommendation, out of six, that can help form the view of how consumer-driven logistics should be developed in order to strengthen the consumer’s buying experience. Previous articles can be found through our site search.